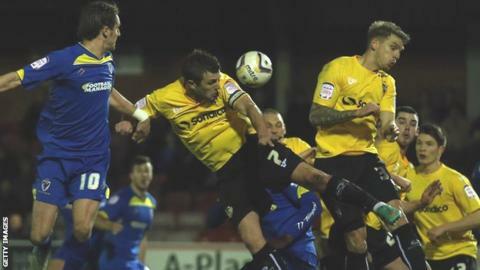 Port Vale fought back from two goals down to earn a point at AFC Wimbledon. Jack Midson gave the hosts an early lead from close range and then put the Dons further ahead with a penalty after Liam Chilvers fouled Pim Balkestein. But the League Two leaders struck back almost immediately when Dan Jones drove the ball in from around 30 yards out. Tom Pope scored his 27th of the season with a low shot to equalise for Vale, a result that leaves the Dons unbeaten in 2013 but still in the relegation zone.